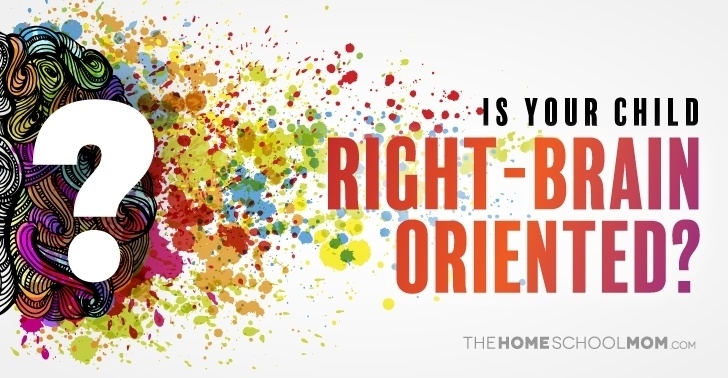 You are here: Home / Blog / Right-Brained Learning Style / Is Your Child Right-Brain Oriented? While research has demonstrated that we use all of our brain in processing information, children tend to display characteristics associated with the different hemispheres of the brain, depending on whether they are more right-brain oriented, or left-brain oriented. Understanding these different characteristics can have a strong impact on how children learn. A previous article gave an overview of some of the differences between left- and right-brain oriented learners, and why children with right-brain characteristics often struggle in traditional learning environments. Fortunately, homeschoolers have endless opportunities for being creative, individualized, and effective at meeting the needs of children with right-brain characteristics. Left-brain oriented learners tend to like structure, focus on details, enjoy organization and logic, and are able to express themselves with words. Memorization comes easily, and left-brained learners tend to learn best by repetition. These children work effectively with a step-by-step sequential approach, like to work independently, have a strong sense of time, and are objective. Writing and spelling generally come easily to these learners, and they tend to learn well from instruction. Arithmetic, with its logical, sequential steps, is also a subject in which left-brained children often excel, although conceptual mathematical subjects such as geometry may be challenging. Left-brained children tend to benefit from an auditory teaching style, and often demonstrate academic aptitude early on. Right-brain oriented learners, on the other hand, are visual. They focus on holistic concepts rather than details, tend to be unstructured and impulsive, and are usually very creative, often demonstrating proficiency in art or music. These child do not enjoy working independently; they learn best from discussion, interaction, cooperation and involvement with whatever they are learning. Right-brained children think in pictures rather than words, generally have a good sense of spatial orientation (but not a good sense of time), and are attuned to emotions. These children prefer the main idea to the details, and often learn in spurts rather than in a steady sequence. Right-brain oriented learners often come to conclusions intuitively, without knowing the steps by which they got to the answer, and often prefer a visual and/or kinesthetic teaching style. It is not uncommon for right-brain oriented children to be “late bloomers” academically. If you are struggling in your homeschool with a child who is not learning effectively, you might have a child with right-brain learning characteristics. In addition to the characteristics above, ask yourself these questions as a right-brain left-brain test to determine whether your child has characteristics of a right-brain orientation. Does your child struggle to memorize facts? Is your child spontaneous, rarely planning ahead? Does your child like to discuss and talk while learning? Does your child struggle to “show all work”? Does your child prefer a relaxed, non-traditional school environment (such as lying on the floor)? Does your child figure things out without much evidence? Does your child struggle with self-discipline, and tend to act impulsively? Does your child skip problems when doing math? Does your child struggle with doing work in workbooks? Does your child like to do hands-on, interactive projects? Does your child enjoy mechanical, technical, or “put it together” types of pursuits? Does your child lose track of time easily, or often underestimate how much time he has? Does your child question rules regularly? 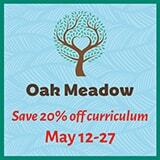 Does your child learn complex concepts easily but struggle with easy skills? Is your child imaginative and creative? Does your child find answers without knowing how he got them? Is your child dramatic and demonstrative? Is your child sensitive to emotions and attitudes of others? Does your child have a good photographic memory? Does your child work well with noise, music, or activity in the background? Does your child develop unusual solutions to problems? Does your child prefer pictures, charts, and graphs to written words? Does your child enjoy fantasy-based and/or mystery books over biographies? Does your child have to “see” a word in his mind to be able to spell it? Does your child skip over directions and immediately “jump in” to assigned work? Is your child able to brainstorm many options to potential problems? Does your child have a good sense of rhythm or an aptitude for music? Does your child have a good sense of humor? Does your child like to move around while doing schoolwork? Does your child often want you to “get to the point”, and get bored with long descriptions or details? Does your child like to doodle while he works, or enjoy drawing or coloring? 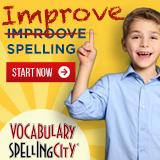 Does your child learn whole words easily, but struggle with phonics? Does your child have a good sense of direction, and is he able to read maps well? Does your child enjoy taking risks? Does your child tend to procrastinate, and wait until the last minute? Does your child seem to daydream often? Does your child enjoy listening to music while doing work? Does your child struggle to keep his desk and room organized? Does your child enjoy computer-oriented games or learning? Does your child learn better by demonstration than explanation? If the answer to many of these questions is “yes”, you likely have a child with right-brain characteristics! For more specific information on whether you or your child is left- or right-brain oriented, consider this online test. Rightbrainedlearner.com also offers a simple online test that tells what percentage left- or right-brained a person is (scroll down to “Are you Right Brained?”). Not only is it helpful to know your children’s learning style, but you should also we aware of your own! By knowing whether you are more left-brained or right-brained, you can become aware of your own teaching tendencies, because people tend to teach in the style in which they best learn. This means, Mom, that if you are left-brain oriented, and are using a lot of lecture-based teaching and workbook pages, and are wondering why your child is consistently off-task, bored, or just “not getting it”, you are probably trying to teach a right-brain oriented child with the strategies that work best for you, not him! Knowing is half the battle. Once you have determined that your child displays characteristics of right-brain orientation, you are in a position to adjust your homeschool to best meet his or her specific needs. And the good news is that it’s quite easy to make the changes necessary to meet the learning needs of a right-brain oriented child. Stay tuned for specific teaching strategies and ideas for right-brain oriented learners!